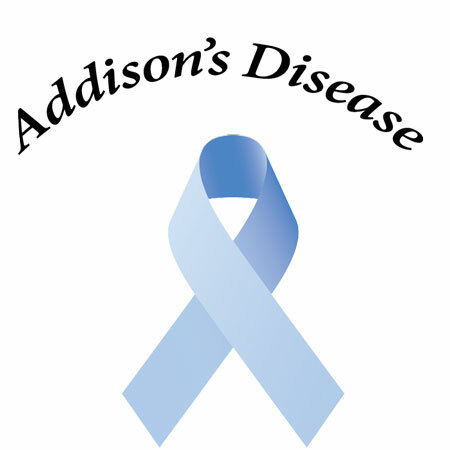 Addison’s disease is an auto immune condition that affects the endocrine system. It prevents the adrenal glands from producing sufficient steroid hormones. In turn, this results in symptoms ranging from stomach pain and weakness to very low blood pressure and coma. Although there is no cure, symptomatic treatment has proved effective in the long-term management of the disease. A battery of diagnostic tests – blood tests, ACTH stimulation tests, insulin-induced hypoglycaemia tests and CT scans – are typically required to diagnose Addison’s disease in a patient. Treatment usually consists of long-term steroid replacement, along with regular monitoring for health problems. In South Africa, Addison’s disease is one of 27 chronic conditions on the Chronic Disease List (CDL). This means that all medical aid schemes in South Africa are required by law to cover the costs of the diagnosis, treatment and care of members suffering with Addison’s disease. These mandatory benefits are known as Prescribed Minimum Benefits (PMBs). Although medical aids have to provide PMBs, they’re permitted to specify medicine formularies (lists of specific, approved medicines) and network service providers that members have to choose from. This means members will be covered in full only if they consult network GPs and specialists, have surgery at network hospitals and use medication that appears on a medicine formulary linked to their specific medical aid plans. Co-payments will apply if members voluntarily choose to consult non-network healthcare professionals or use out of formulary medication. Typically members are obliged to register with the appropriate chronic disease management programme before they qualify for chronic benefits. Members of entry-level plans usually have access only to state-instituted PMBs. Those who can afford higher monthly contributions will benefit from more extensive medicine formularies and additional cover in and out of hospital. As an example, we compare the benefits provided by two medical aids in South Africa – Liberty Medical Scheme and Nimas Medical Aid – for Chronic Disease List conditions such as Addison’s disease. Liberty Medical Scheme members diagnosed with Addison’s disease have to register with the scheme’s chronic medicine management programme. Members who opt for out of formulary products will automatically incur a 50% co-payment. Members can request authorisation for medicines that don’t appear on the relevant formulary but motivation is required from a network GP or specialist. The entry-level Traditional Standard plan covers the cost of chronic medicines, subject to the Care Cross formulary. In and out-of-hospital GP and specialist consultations are covered at 100% of the scheme rate, but out-of-hospital consultations are limited according to family size. The prestige Traditional Ultimate plan covers the cost of all chronic medications with no restrictive formulary. Members can consult with any service provider and visit any private hospital or clinic of their choice on this option. Resolution Medical Aid applies a formulary and reference pricing system to its chronic medication benefit. The Resolution Maximum Price (NMP) defines the reimbursement limit associated with specific medicines on the formulary. All plans are governed by the same medicine list but higher benefit options, such as the Supreme and Millennium plans, enjoy additional benefits.The scheme will cover the cost of certain consultations and diagnostic tests associated with Addison’s disease, up to specified limits, provided you have registered with the medicine risk management programme. The number of covered consultations and tests is based on disease-specific treatment algorithms and guidelines. All chronic related claims are paid from the chronic benefit. The entry-level Core plan offers chronic at GP and specialists if approved. In-hospital CT scans are unlimited for PMB conditions but a co-payment of R850 per scan applies. The high-end Supreme plan provides unlimited GP and specialist consultations at 150% of the Resolution rate. In-hospital blood tests are covered at 100% of the rate. Day-to-day GP and specialist consultations are covered at 150% of the rate and are paid from out-of-hospital benefits. Blood tests are covered at 100% of the rate and CT scans are unlimited for PMB conditions but subject to a R850 co-payment per scan. AT IFC, we have a team of highly trained consultants on call to help you choose the most suitable medical aid scheme for your needs. IFC is an authorized financial service provider - FSB license number: 40508. Our company offers free a consulting service on medical aid and life cover, as well as essential short term products, including gap cover.